Savage MKII FV-SR, or does the suppressor matter? 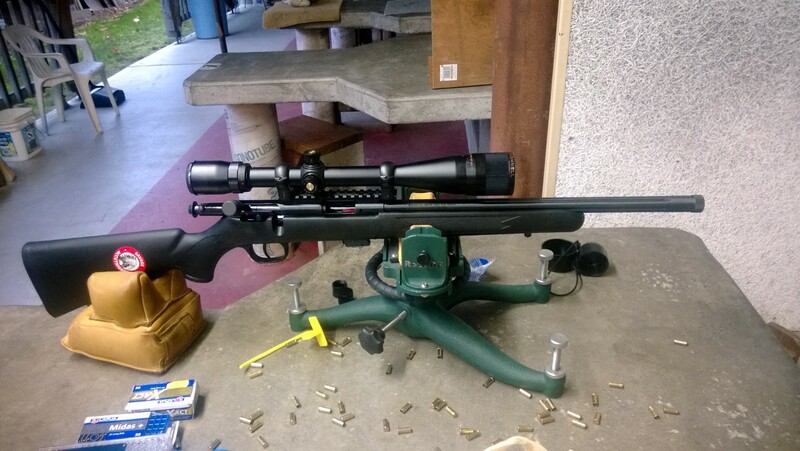 It has been a while since I got out to the rifle range - an unusually large amount of work has been in the way of the shooting hobby. One of the things that I wanted to do, but has been postponing for many months was figuring out whether a suppressor has an impact on accuracy. Actually, I knew the answer for centerfire rifles - we have tried a friend's suppressor on my Savage 10TR, and the groups opened significantly. At the time, I blamed it on heat - suppressed rifle was heating significantly more than unsuppressed, and hot barrels are enemy #1 of the tight groups. 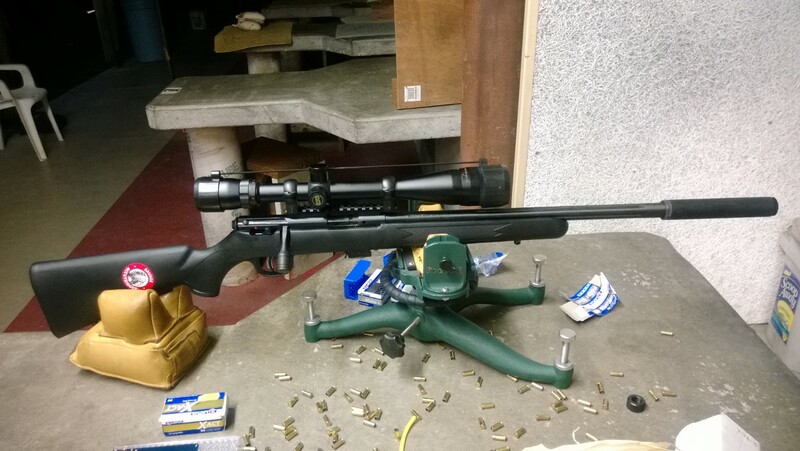 On a rimfire rifle, however, the barrel barely heats, suppressed or not, so that should not have been the factor. Now, there is a couple of observations here. 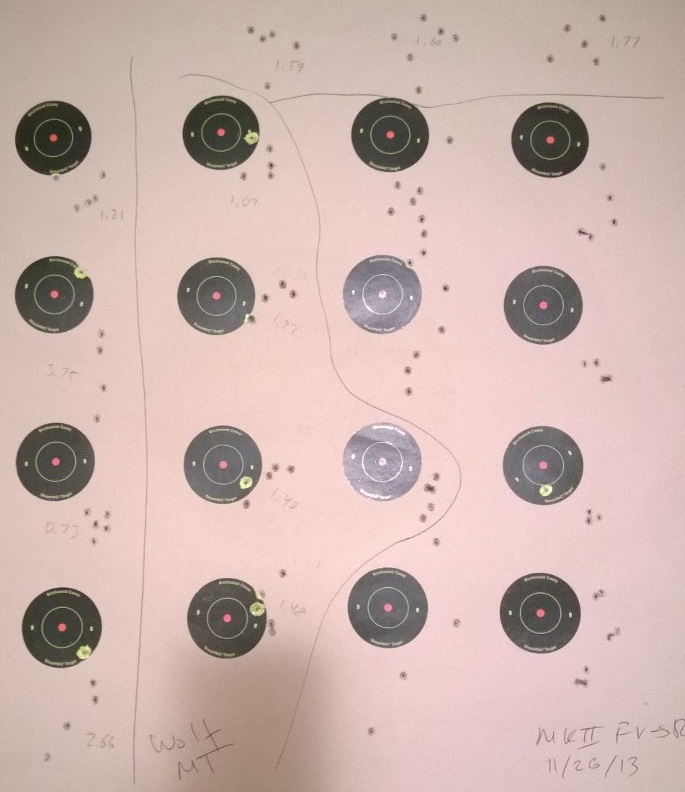 First, among the ammunition shot with the suppressor, there are no tight groups. Without the suppressor, Polar Biathlon and Wolf worked quite well, but the lead Polar Biathlon enjoyed over the other brands is gone completely in the suppressed case. It is important to note that even though some group averages "shrunk" with the suppressor, in reality the differences are so small, that they are completely lost in the noise. A one more group shot on either side could easily reverse the "advantage" of the suppressor. 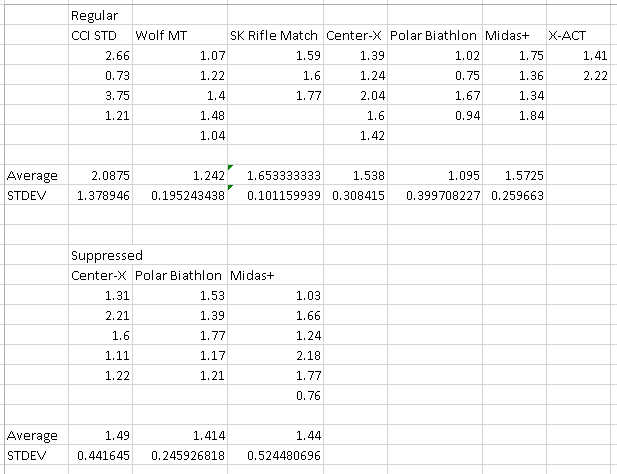 The difference between suppressed and unsuppressed Polar Biathlon, while technically still not statistically significant, is a lot more, and my gut feel is that if I shot more groups, the results would have become statistically significant as standard deviations would have tightened. Secondly, if we compare the results with Savage MKII FV, we can see that the shorter barrel of FV-SR does not seem to result in degraded accuracy. The favored ammunition is different, but the group average - unsuppressed - across all ammunition brands is actually tighter (1.57 for MKII FV-SR vs 1.8 for MKII FV), and the best brand in MKII FV-SR shoots roughly the same (1.1 for Lapua Polar Biathlon) than the best brand in MKII FV (1.2 for Lapua Center-X). Now, specifically about the suppressor - is it worth the wait? Is it worth the money? The Kestrel 22 was $400 + tax, plus $200 transfer stamp, so it was more than $600 total. I waited 9 months for the tax stamp after I bought it. I have a bunch of 22 pistols with threaded barrels, and MKII FV-SR, so I figured it would amortize across a lot of equipment. 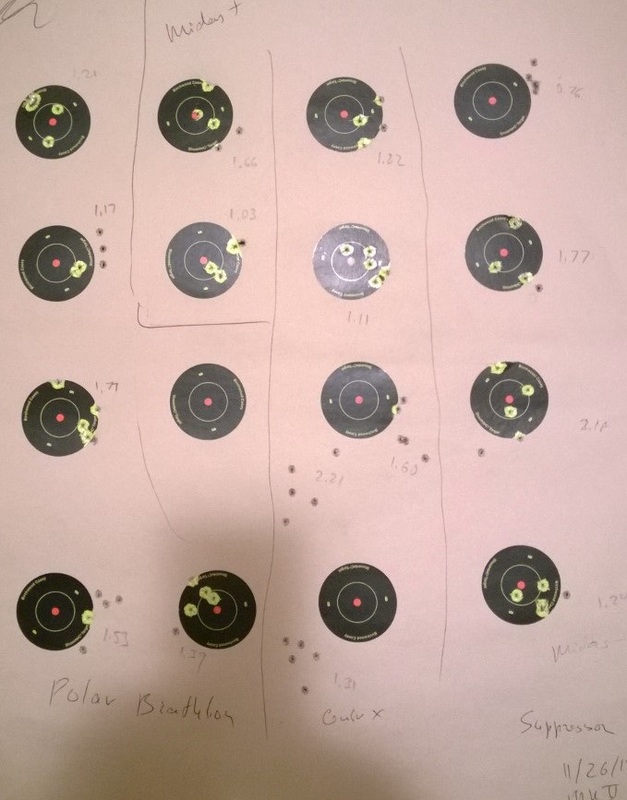 Shooting with it makes the rifle and the pistols hearing safe. Now, this does not mean noiseless, the way they show it in the movies, but you no longer have to wear the headphones. Usually, it is not a huge advantage, as one still has to wear headphones on the range because of other shooters. Suppressors for bigger calibers - 223 and 308 - do not even get you this far, you still have to wear the headphones with them. All suppressors, even for 22, seem to negatively impact accuracy. The impact on accuracy for a 308 is far more than that - with Prvi Match ammunition my Savage 10TR went from 1.5" groups at 100 yards to 4-5" groups. With Federal GMM the difference was not as horrible, but it was still quite noticeable. One huge problem with 22 suppressors is cleaning. The deposits of lead accumulate on baffles, and need to be removed. After shooting 500 rounds, the deposits are very significant. Even though Kestrel disassembles easily, getting them off the baffles is very difficult - they don't just wipe off, and they don't scrape off, either. A friend of mine with much bigger experience with suppressors said something to the effect - "you can use this chemical, but when reacting with lead it produces incredibly toxic compound. Or you can use sulphuric acid." When the choice is between sulphuric acid and something even more toxic, this gives me pause. 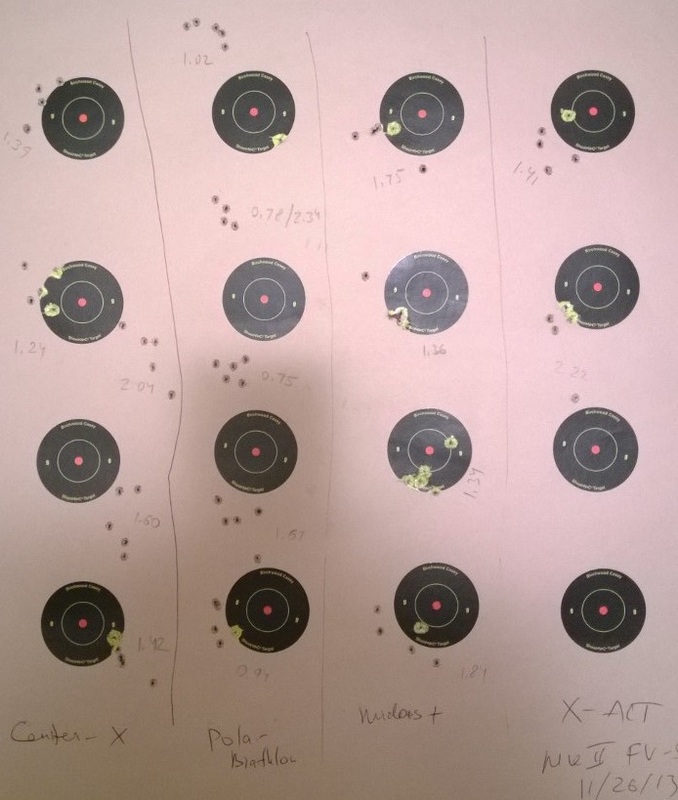 All this means that I don't expect to shoot with the suppressor a lot - I may do more studies for effects on accuracy, but it's not something that I expect to shoot for pleasure.